So why did I choose Spanish? In terms of native speakers, Spanish is the second most-spoken language in the world (the first is Mandarin). Besides Spain, Spanish is spoken in most countries in southern and central America. This implies that there are lots of people you can talk to anywhere in the world. There is also a rich Spanish-speaking culture accessible through music, movies, books and the Internet. Since I had studied only Germanic languages, I wanted to learn a Romance language like Spanish. It is also considered one of the easiest languages, so I had chosen a language that is very practical and not so difficult to learn. In February last year I started a language course, where all the classes were taught by native speakers. They introduced themselves in Spanish and gave only one instruction in English, ‘The only language spoken at these classes will be Spanish.’ It was the last time I heard them speak English. First we learned how to read, then some basic words and phrases, then we moved on to verb conjugations. After the course I went on studying at home. I learned all the vocabulary from the remaining lessons in the textbook, as we had finished only half of it. I intended to take an A2 course in Madrid, so that I wouldn’t go through the stuff I already knew again. It would have been a shame, so I worked hard to get to the A2 level. I set my laptop, mobile and all applications I used (Google, Facebook, etc.) to Spanish. I started watching simple YouTube videos and translating song lyrics. Every time I came across a new word or phrase, I put it down in my vocabulary notebook. I revised every word in the notebook three times by inventing example phrases with that word. When I watched my first Spanish movie, I had to pause it after every scene to look up new words. I also learned more grammar, at least on a theoretical level, as I had nobody to practice with. Spanish verbs seemed so complicated. For example, I wasn’t familiar with the concept of subjunctive, because I had never studied Romance languages (a special verb mode used when you express uncertainty, desire or opinion). I also had to memorize genders along with nouns and pay attention to resulting suffix changes. I don’t find Spanish easier than English. While Spanish words are easier to pronounce and the writing system is more or less regular, English verb tenses, often considered difficult by foreign students, are a piece of cake compared to Spanish conjugations. In September last year I arrived in Madrid. I had been learning Spanish for 6 months and the vocabulary notebook counted over 700 words. I hadn’t spoken with anyone else but my teachers, but it was sufficient. Since the teachers were native speakers, I didn’t feel any barriers communicating with other natives (as I did when I first spoke with native English speakers after having only Slovak teachers). I could ask the way and talk about some basic things right away. It was a good idea to learn some basics before coming to Spain. If I hadn’t known anything, it would have been like trying to learn to swim by jumping in at the deep end. Thanks to the basics I already had, my progress was about to take off. 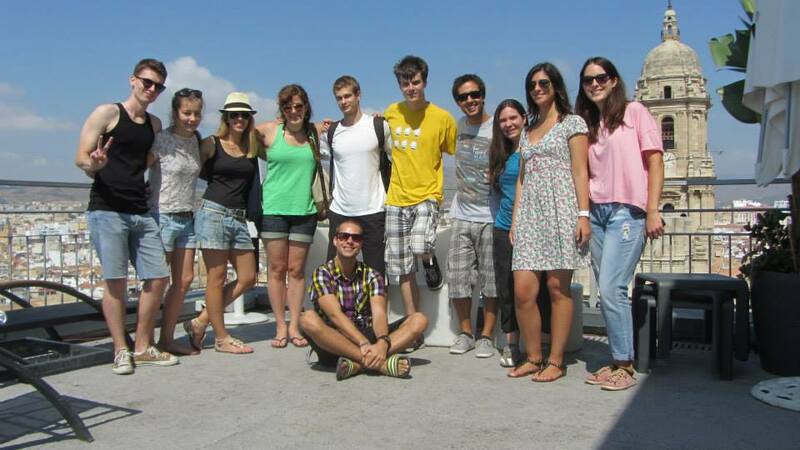 The university provided Spanish courses for Erasmus students. I took the level test with the aim of getting to an A2 group. After the level test, they assigned me to a B1 group, which was slightly more advanced. I still lacked some basic A2 vocabulary, because I had skipped the whole level. After every class, I read all the articles and exercises again and put new words in my vocabulary notebook and revised them. It wasn’t allowed to speak English during the classes. In fact, the teacher told us to speak Spanish in every possible situation outside. From that moment on, I have a policy to speak Spanish with every native Spanish speaker. Natives in Madrid were really supportive. Every time I started speaking Spanish, they would reply in Spanish and were patient if I couldn’t understand. Everyone seemed to greatly appreciate that I was learning their language. The first Spanish conversation with a teacher. 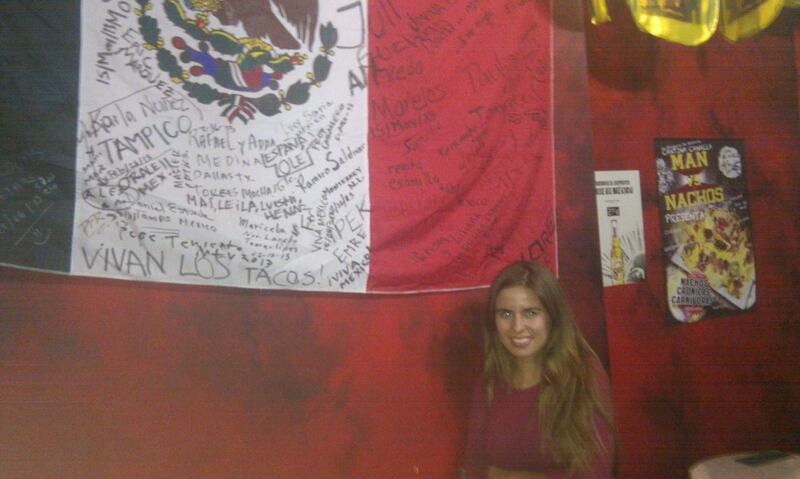 Besides having an opportunity to speak Spanish, I made many friends. A university cultural activity was a great idea. Putting down and memorising all words helped my vocabulary a lot. I knew 1300 words, which seemed enough for every kind of conversation. I also improved in understanding and speaking thanks to the Spanish classes and the time spent among Spanish people. After some Spanish friends found out I had improved, they immediately stopped using English with me. I went to a meeting of Ruby programmers in Madrid and I could understand about 90% of the talk. At this point, I felt I could benefit from some grammar. I bought Gramática De Uso Del Español, a book similar to English Grammar in Use. It contained 120 lessons with everything from definite articles to reported speech. Besides grammar, the book was full of words appropriate to my level and example sentences useful for day-to-day communication. Language learning should be motivated by speaking with native speakers, not by completing grammar exercises. However, grammar can greatly accelerate learning as long as you have enough speaking practice. In December I had some free time during the winter holidays, so I completed the book (well, I didn’t do all the exercises). I studied Spanish on average 4 hours a day, sometimes more. In January I switched to Spanish with more friends and basically no longer needed English. My language workout paid off. I went back home at the end of January. I was crying because of leaving Madrid, but I was happy to head home at the same time. The first time I entered a Slovak store, I almost said ‘¡Hola!’. Then I didn’t hear any Spanish for 2 weeks. One day I was buying coffee at the bus station and I heard two girls speaking Spanish. The lady behind the counter asked me to interpret, because she couldn’t speak English. I asked the girls in Spanish if they had already chosen. ‘¿Tú hablas español?’ You’re the first person we’ve met here who speaks Spanish. I recommended them some places to visit and apparently made their day. Every time I start speaking Spanish to a foreigner, I can see a surprise in their eyes and an appreciation that I have learnt Spanish. It reminds me of the supportiveness of native speakers in Madrid and it reminds me why I learn Spanish. You can speak English with anyone, but you connect with people and experience their culture on a much deeper level if you learn their language. I came across a list of the 1000 most frequent and usable words for foreign learners. I made sure to know every word on that list. At this point, after one year of learning Spanish, the language no longer felt new to me. I got used to it and it became a part of me. I still had to visualise the conjugation tables when speaking in past tenses and subjunctive. So I started practicing them the other way around. First I imagined a situation and then memorized the correct form to use for the most frequent verbs and their most used conjugations. The effort paid off and I started using the practiced conjugations automatically. I couldn’t believe it. I had considered it impossible to quickly use the correct verb form out of 50 possibilities. With some practice it wasn’t so difficult after all. 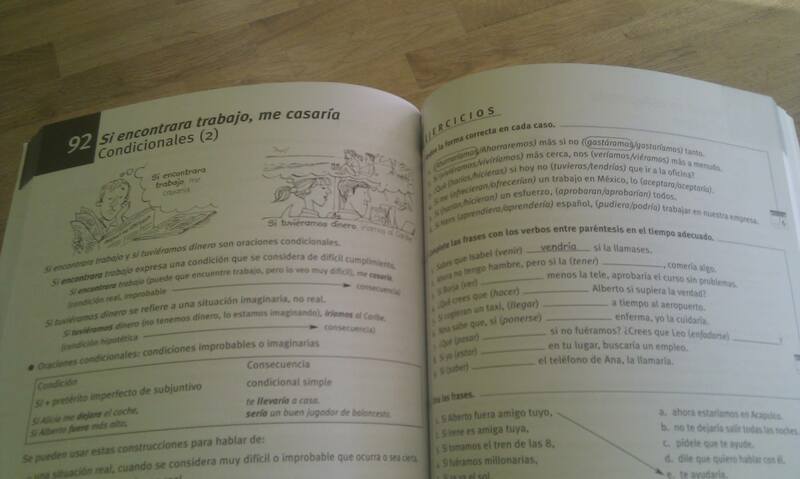 In February I enrolled in another Spanish course in the same language school, where I had started A1 a year before. As usually, I had finished the rest of the B1 textbook at home, I chose to start B2 level. However, I had only an option to join a course already running from September. I began working on the first half of B2 at home before the classes started. It was no longer about practicing grammar rules or memorising individual words. I started learning idiomatic expressions and word collocations. I learned to ‘ver la vida de color de rosa’ and that ‘El que la sigue la consigue.’ I also started attending weekly Spanish-speaking meetups in Bratislava. After one and a half years of learning Spanish, the vocabulary notebook contains about 2300 words and expressions and my level is moreless B2. And I’ve made many friends from Spain and Latin America along the way. The experience of learning a language from zero has given me a new perspective on language learning. I crammed German words and grammar all through high school, but never actually spoke to a native speaker. Then I stopped working on the language and completely forgot it. Languages are not to be studied, they must be lived. Learning vocabulary and doing grammar exercises accelerates your progress. Listening to music and watching movies is good practice for your ears. But you have to live in a foreign country or at least speak to native speakers to make all the cogs fall into place. Languages we learn also shape our personalities. We are all shaped by English language and culture. So if you are interested in any other culture, start learning and living that language. Be it Spanish, French, German, Croatian, Russian, Chinese, Japanese or Quechua. It will be a rewarding experience and an adventure you’ll never forget.